Solo Exhibition-HandiQuilter Inc. February-March. See my works on display in the gallery of HandiQuilter, Inc. Corporate Headquarters, 501 N 400 W, North Salt Lake, UT 84054. Quilter’s de Mexico Quilt Festival, February 14-16, 2019, World Trade Center, Mexico City. Join me for a thread-Painted Portraits workshop, view an exhibition of my work and see the full display of the Border Wall Quilt Project. Santa Clara Valley Quilt Assoc. February 25-26. Lecture and 1-day Thread Painted Portraits workshop. 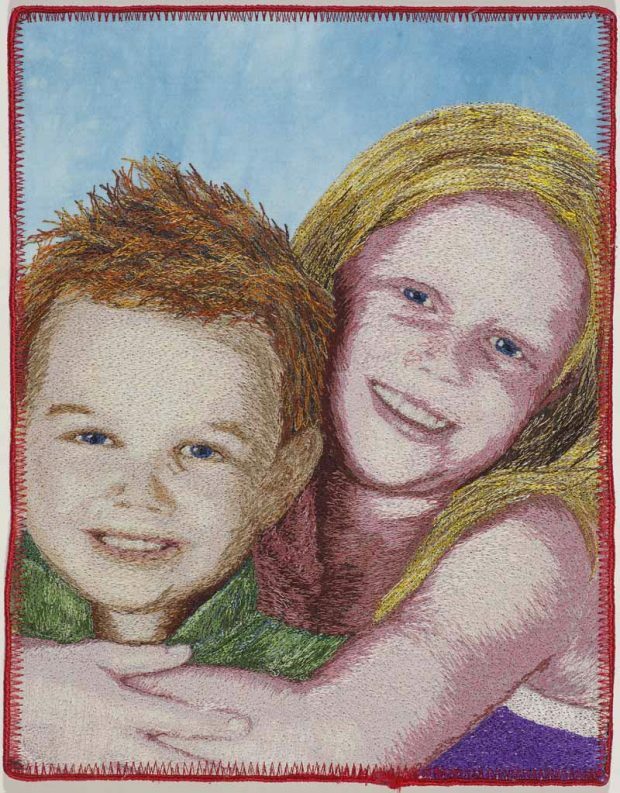 Festival of Quilts, July 31- August 5, NEC, Birmingham, England. I’ll be presenting at multiple events. Please join me for an Applique Portrait, Thread Painting Portrait, or Color & Composition workshop, or my Pictorial Quilt Primer lecture. Annapolis Quilt Guild, May 5-6. Color Theory for Quilters lecture, and 2-day Thread Painted Portraits workshop. 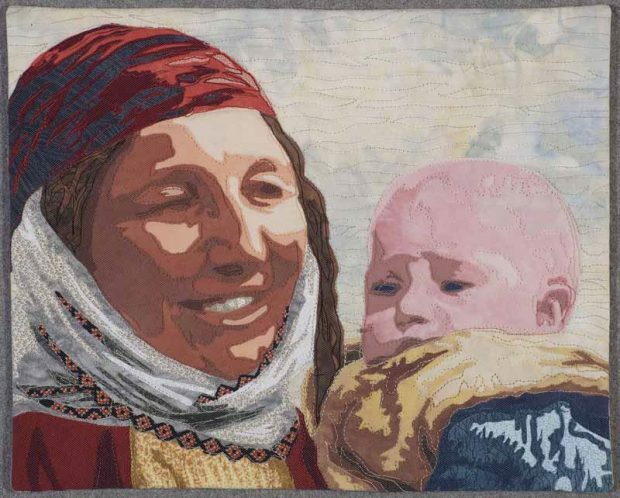 Lincoln Quilt Guild, October 14-15, Pictorial Quilt Primer lecture and 1-day Thread Painted Portraits workshop. Pensacola Quilter’s Guild, March 23-26. John C. Campbell Folk School, Summer 2020. Information on dates and workshops coming soon. Kansas City Regional Quilt Festival, June 2021. Information on dates and workshops coming soon. SPECIAL OFFER!!!!! 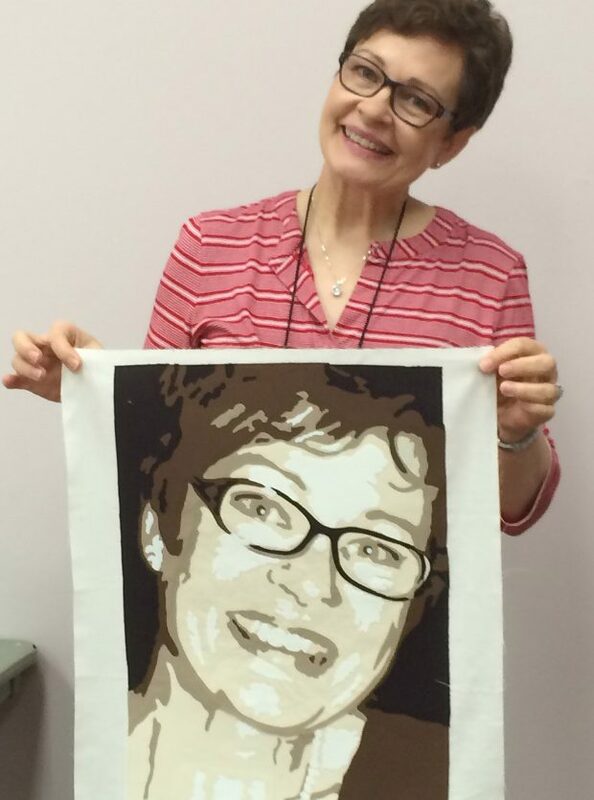 When you purchase the Fused Raw Edge Applique Portraits course, you will receive a coupon code for 25% off of Lea’s Thread Painted Portraits course. SPECIAL OFFER BEFORE YOU PURCHASE THIS COURSE!!! Receive a coupon code for 25% off this Thread Painted Portraits course, if you purchase Lea’s Fused Raw Edge Applique Portraits course first. 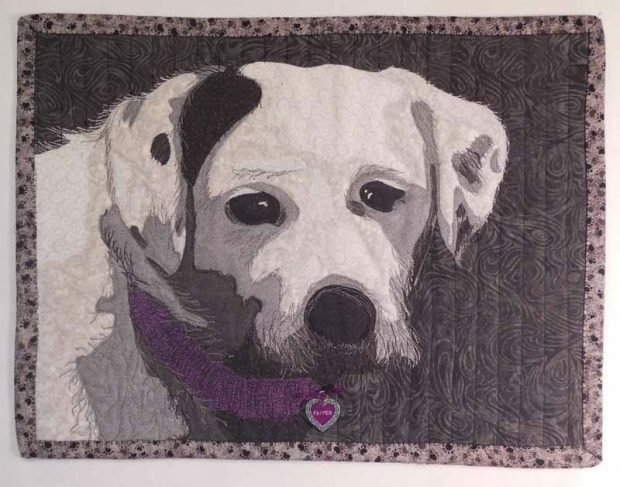 Most of us treat our pets like a member of the family so why not immortalize your favorite pet in a custom quilt? Use my 6-lesson online course to pay tribute to your beloved animal using my fused appliqué technique. Make a statement with a pictorial quilt. Let me share with you principles of color, balance, scale, value, and contrast that will allow you to create your own dynamic fabric renditions of meaningful images in your art quilts.